Early morning light blankets Zion National Park in Utah as my friends and I pull into a surprisingly full parking lot. It’s quite early and we’re left wondering what time everyone else got up to make it here before us. 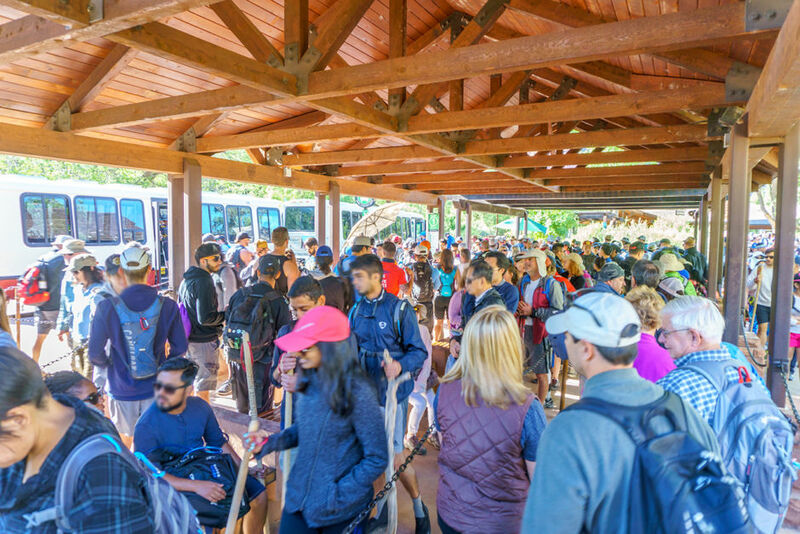 We hop in a long line for the free shuttle service that was put into place to cut down on traffic in the canyon, vowing to get there earlier the following day as we loosely plan our two days in Zion. 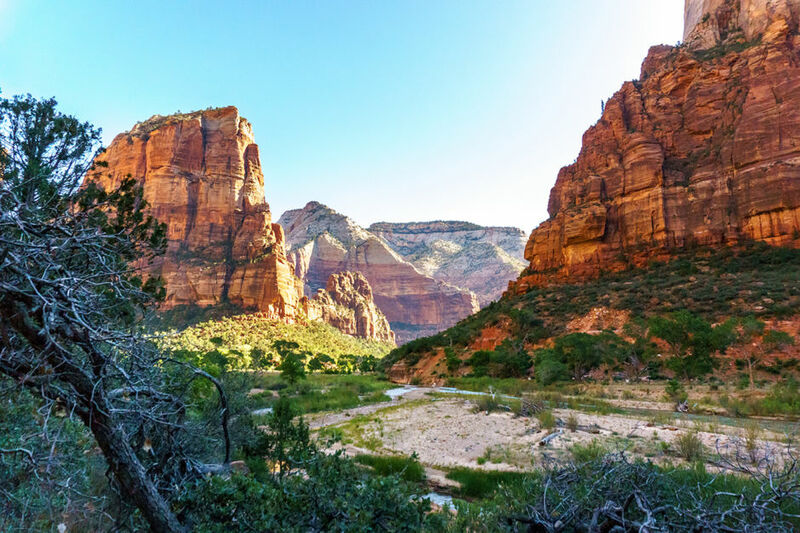 As the shuttle slowly moves us closer to the Angel’s Landing hike, we start getting some of our first views of the 229-square-mile park. Walls of orange and red tower above as the shuttle pulls us further into the 270 million-year-old rock layers. We have no idea what is in store for us, but based on just the shuttle ride, we know it’s going to be an unforgettable trip. After finding out that there are over 4 million visitors to Zion National Park a year, the huge lines for the shuttle start making sense. Operating April through October, the shuttle system helps keep parking and traffic issues low while maintaining a serene canyon for visitors and wildlife. 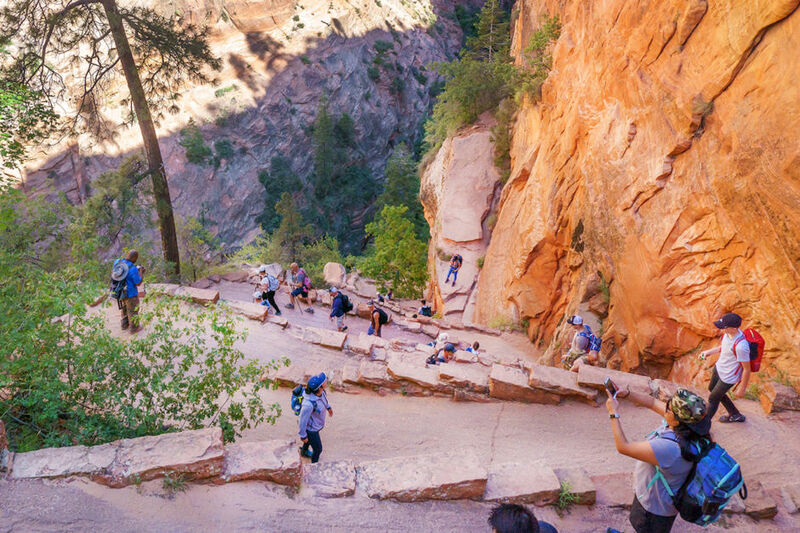 Wanting to beat the crowds and heat, we first decide to take on Angel’s Landing. 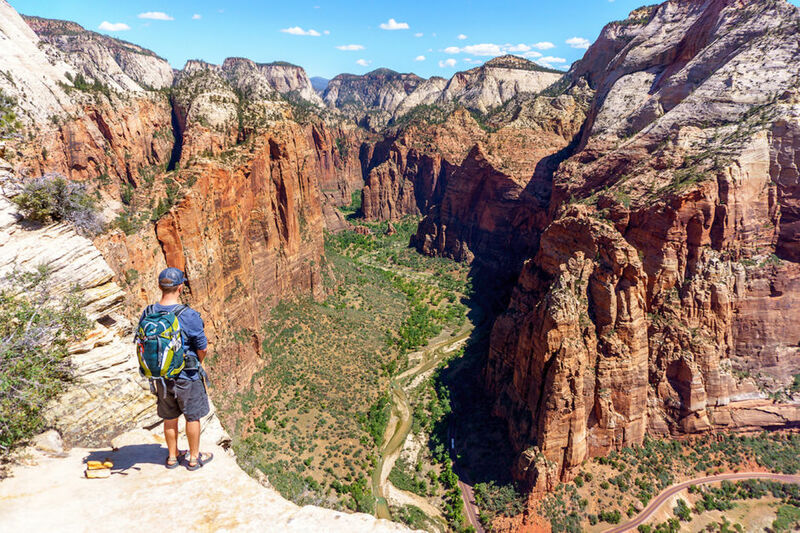 This 5-mile round trip is rated as strenuous due to its steep nature as well as jaw-dropping exposure and drop-offs. We turn around to see fellow hikers slowly making their way up the rapid elevation gain. 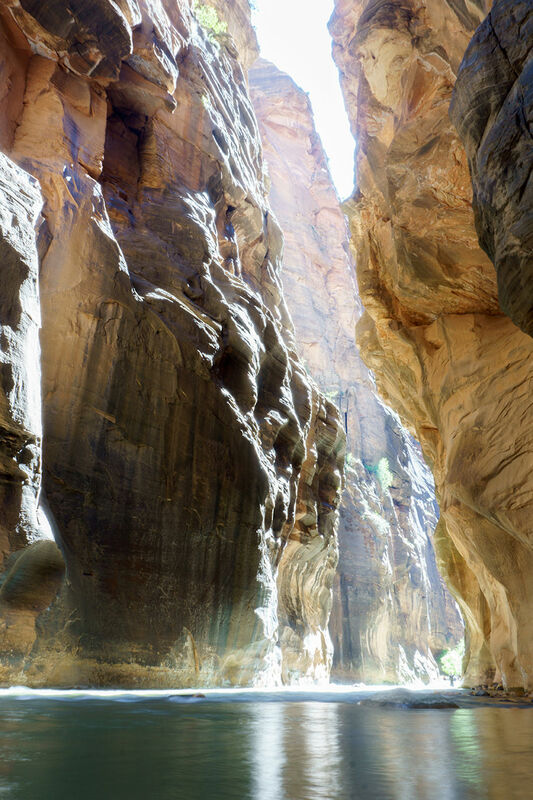 The canyon walls tower above as the trail leads us to the brim. 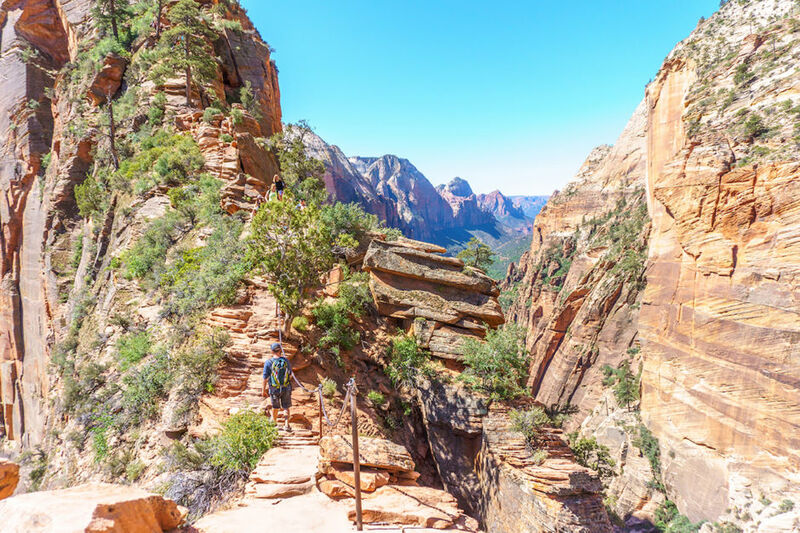 These narrow trails lead to a few bottlenecks that eventually open up to the breathtaking last stretch of Angel’s Landing. Cliffs flank our path as we carefully place each step and use the bolted chain railing to move us past seemingly precarious sections. We finally reach the top and are received with this panoramic view. We find a place near the tip of the cliff and bask in the sun as we snack and take in the incredible display of nature around us. As the day goes on, the air turns heavy with heat. We finish the Angel’s Landing trail, and a small bridge crowded with people leads us to the shade of what feels like an oasis in the desert. Turquoise water glows below us as we watch people wadding and taking cover under the leafy trees. Not wanting to head out of the park yet, we stumble upon the Emerald Pools Trail, opting for the full round trip route to see all 3 pools. The falls are more of a trickle at this time of year, but still a good spot to relieve you from the heat. 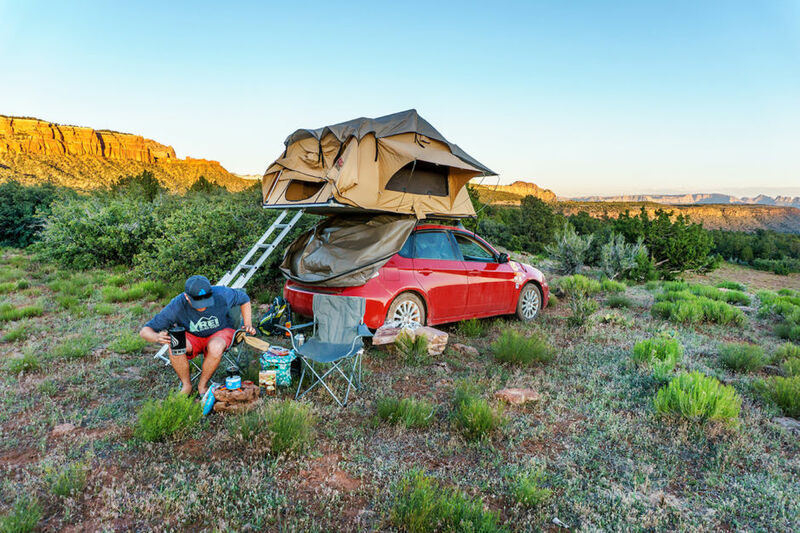 After a day of adventuring, we retreat to a piece of BLM land to find a cozy campsite with a spectacular view. After talking with a ranger and learning about fire restrictions in the area, we found a small patch of land and cooked a warm spaghetti dinner as the sun set over a seemingly endless desert. It’s still dark when we wake up. We pack up our frozen tent and drive to find a mostly empty parking lot. It’s cold in the early morning, and after renting neoprene socks, sturdy water shoes, and a hiking pole, we are ready to dive into The Narrows. 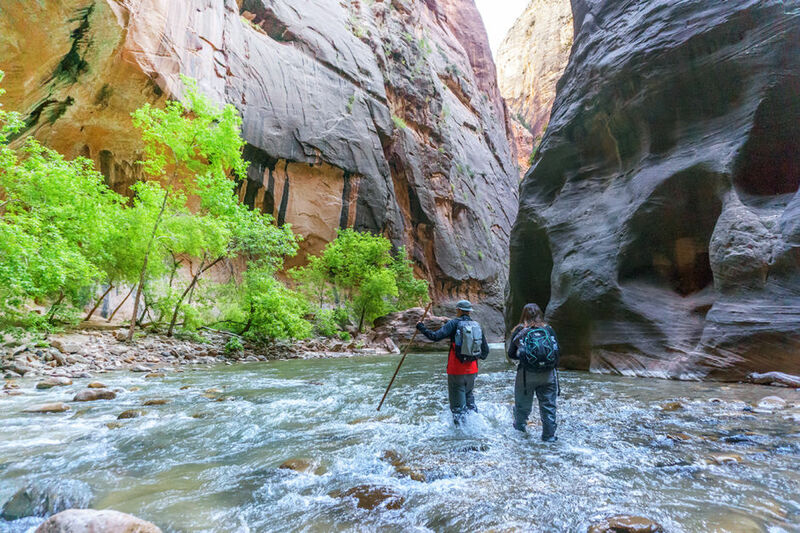 This hike follows the bottom of a canyon, and without proper gear, you’ll surely end up wet and cold. 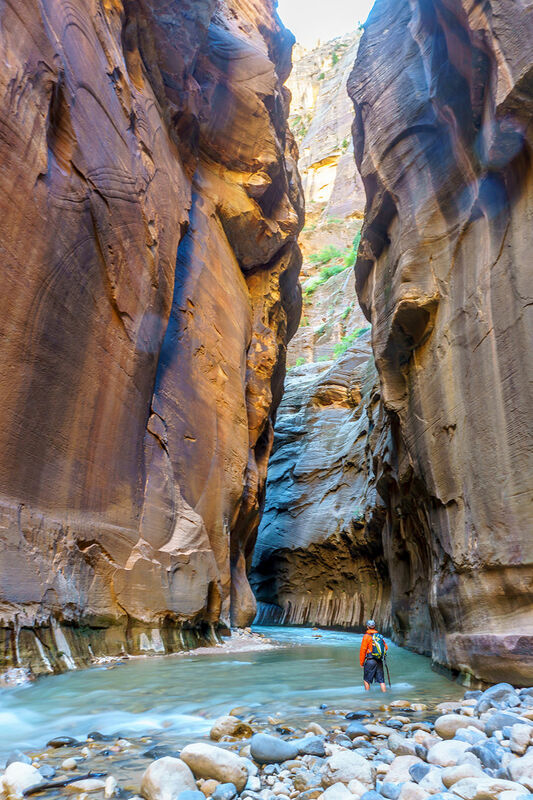 Soaring canyon walls leave no mystery as to why this area was named The Narrows. As we move further into the canyon, the undulating walls make it clear why it is important to research possible rain and the chance for flash floods before venturing on this adventure. If we pause for too long, the cold begins to take over, but the chill is worth it as we stand tiny in the rushing water, unaware of where the next turn will take us. 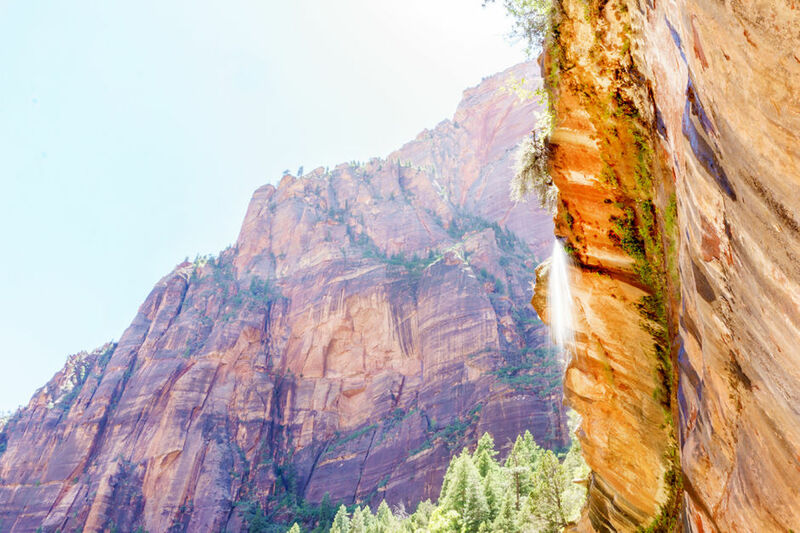 There’s something captivating about Zion. It feels ancient, like a time machine has taken us to the time dinosaurs roamed the earth. 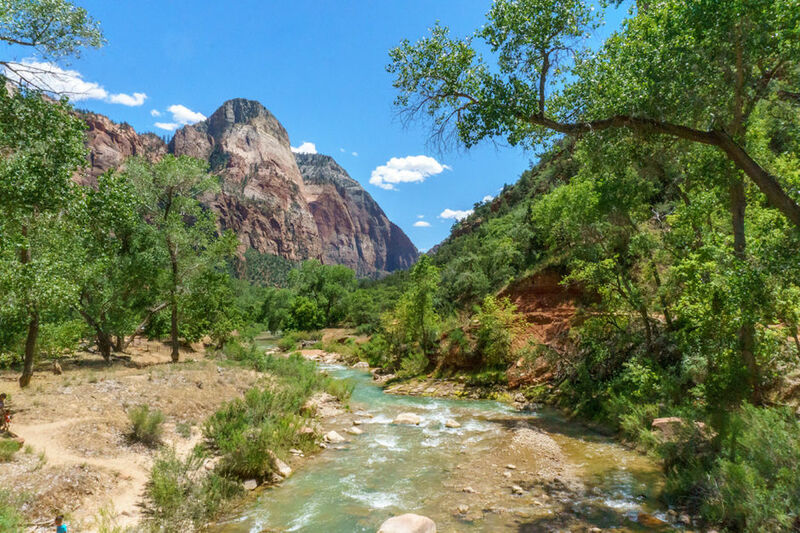 We decide to turn around after needing to swim through portions of the canyon and realize how lucky we are to have seen Zion National Park, a living timeline spanning millions of years.